I have finally finished the scarf I made for Eli's brother. It took me about 4 months to complete. 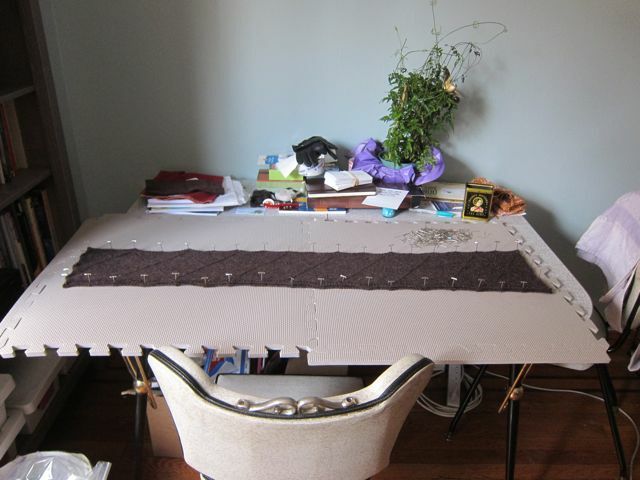 Granted, I did not work exclusively on it, it was my "hard" project and I knit a ton on "easy" projects during that time. I was also sick for most of January, which meant it got neglected. But anyway, I think I can say, with confidence that this scarf was the most demanding thing I have EVER knit. But boy does it look good! The yarn is Rowan Felted Tweed. I knit it on a size 3. 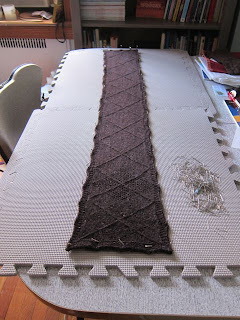 The pattern was inspired by an argyle blanket in the most recent Knitwear magazine. 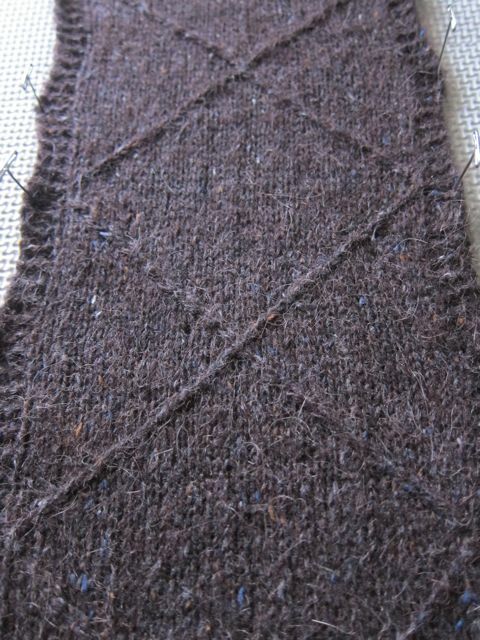 Basically it's a traveling stitch that crosses over a purl diamond and then a moss stitch diamond. 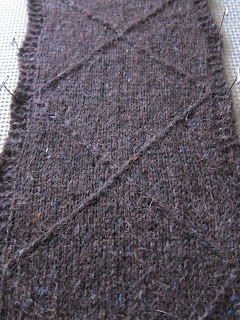 I decided to only do the purl/moss diamonds at either end, and I continued the traveling stitch diamond throughout. 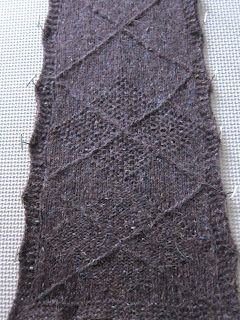 So, dark, fuzzy yarn, at a fine gauge, in a pattern I was doing by sight. Oye vey. I'm really proud of this project, it's beautiful and I think it was well worth the trouble, but next time I won't delude myself into thinking its a good quick holiday project! As soon as it dries it's going in the mail!